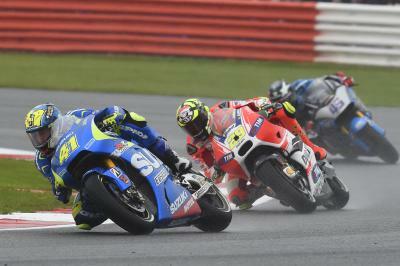 Suzuki and Aleix Espargaro participate in their first wet race together at the Octo British Grand Prix. Team Suzuki Ecstar continue their re-introduction to the MotoGP™ World Championship, participating in their first fully wet race since returning. The first corner proved difficult for Aleix Espargaro, he and his GSX-RR hit by Yonny Hernandez (Octo Pramac Racing) and forced wide. This caused Espargaro to lose contact with the riders ahead and the Spaniard heard strange noises from his bike soon after. Espargaro put both these factors to the back of his mind and focused on gaining lost ground. 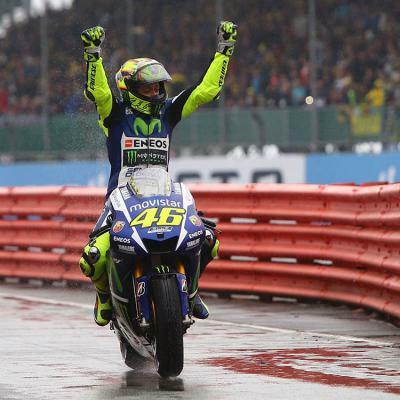 Espargaro was able to salvage ninth at the close of the race, a strong debut for the GSX-RR in the wet. In 2014 at Aragon, Espargaro secured his first MotoGP™ podium in the wet conditions but he was unable to repeat the performance in Britain due to a rapidly degrading rear tyre, along with his early race problems. While many may have lamented the wet conditions, Espargaro and Suzuki were pleased as they were able to collect valuable data. Get excited for the 2016 MotoGP™ season by reliving the moment Danilo Petrucci stormed to his first MotoGP™ podium at the British GP. 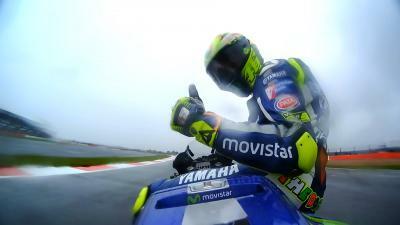 All the most unmissable moments from the #BritishGP in one place! 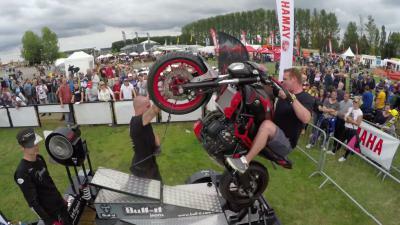 Experience the amusements at the Octo British Grand Prix, filmed exclusively on GoPro™ cameras. 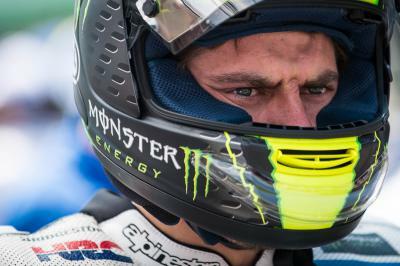 Crushing disappointment as Cal Crutchlow is taken out of the Octo British Grand Prix, his home race. Some of the best Moto2 & Moto3 overtaking moves from the weekend at the Octo British Grand Prix. 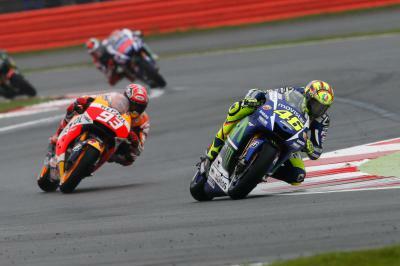 The MotoGP™ World Championship has taken a critical turn after the Octo British Grand Prix as Rossi dances to victory. Big improvements on the bike allow Bradley Smith a competitive showing in the Octo British Grand Prix. Hayden: “I had a couple of moments on the last laps"
For the second time in 2015, Nicky Hayden secures top Open rider honours, battling tough conditions in the Octo British Grand Prix. 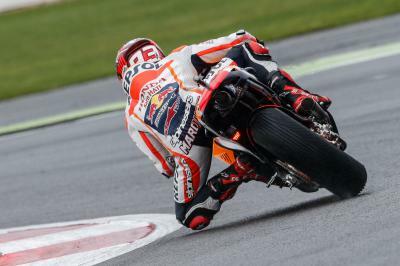 A crash in the Octo British Grand Prix ends any chance of Marc Marquez claiming a third successive MotoGP™ crown. 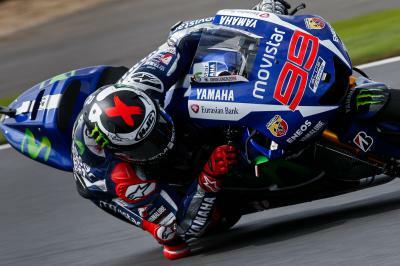 Jorge Lorenzo misses out on battling for third at the Octo British Grand Prix as his visor fogs. 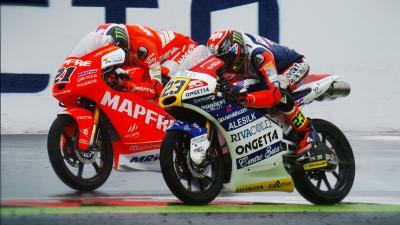 The Octo British Grand Prix ends in disaster after a lightning start for Jack Miller. The beautiful paddock girls added some extra glamour to the occasion at the Octo British Grand Prix.